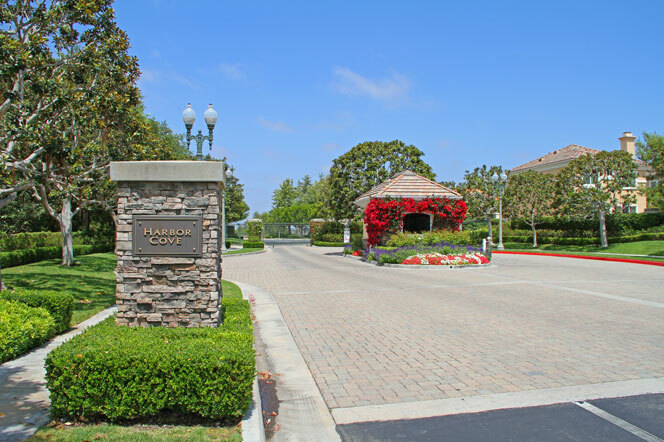 Harbor Cove Palisades community is located in Newport Beach, California. Harbor Cove Palisades homes typically range in the $1,500,000 - $2,000,000 range and offers some of the best golf course locations in Newport Beach. Located in the Harbor View area of Newport Beach, Harbor Cove Palisades community is close to the Back Bay golf course, Newport Beach Country Club and just blocks to Fashion Island shopping center. Be prepared to pay a monthly homeowners association dues of $305 a month for this guard gated community in Newport Beach, California. For more information about Harbor Cove Palisades homes for sale please contact us today at 949-444-1901. We specialize in the Harbor Cove Palisades community and Newport Beach Real Estate.